Apparently felt people are a thing. Felt people doing all the things with more swag than Barbie. Seriously. This is a thing. And there’s about a gazillion nerdy things. What? I’ve totally been missing out on something and this is a shame. 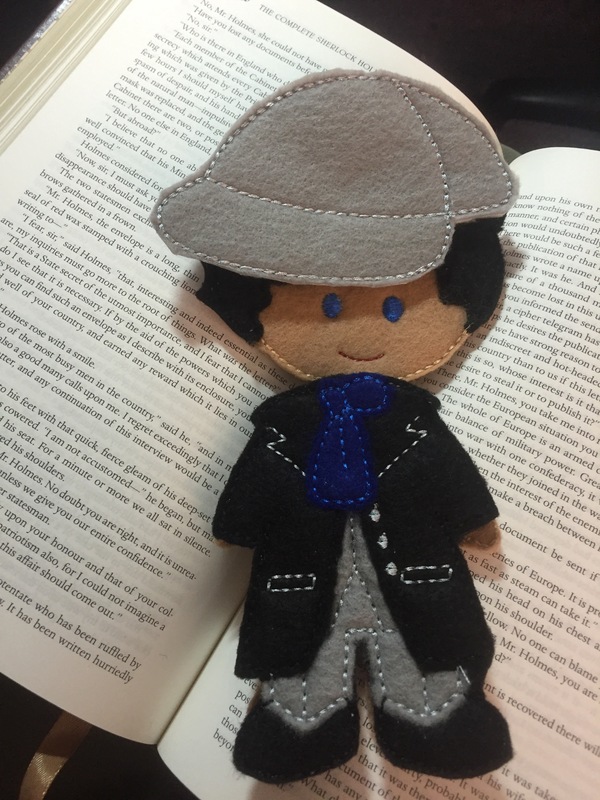 So after my friends taunted me all weekend with text messages, I totally crashed one’s house and we made the most adorable Sherlock ever. That’s right. Sherlock. Holmes. The world’s greatest detective!!! He’s done! 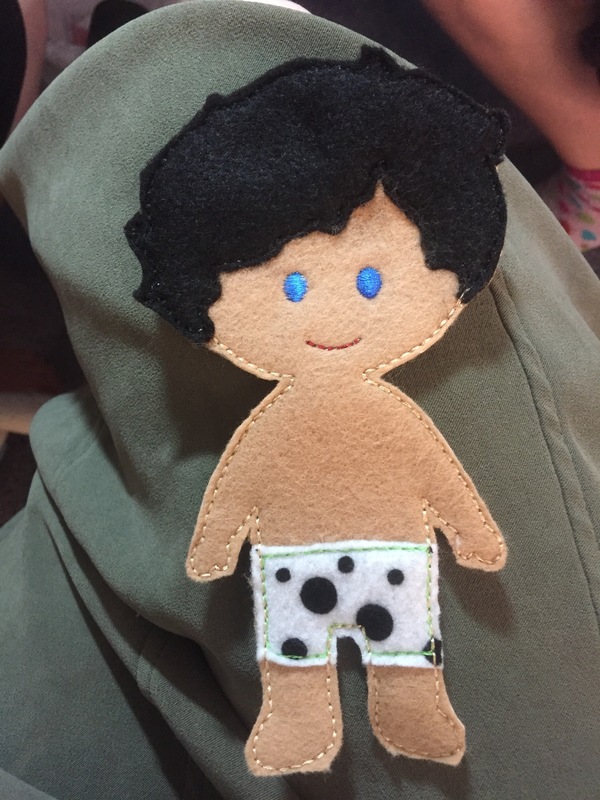 We totally feel like Sherlock has a wild side that would wear spotty shorts. That’s totally a thing right? Now you are all picturing Benedict Cumberbatch in spotty boxers! The world is wondering, Benedict, does Sherlock rock the boxers or the briefs? Then we made his dapper outfit because clearly a proper Victorian man would never be so brazen as to stroll about town solving crimes in his spotty shorts. Best of all, I got to use my new Famore Appliqué Scissors kit, which were perfect for this project! Not that the ladies would mind, of course. Interested in making your own? You can buy the pattern at Gracefully Geeky Designs. 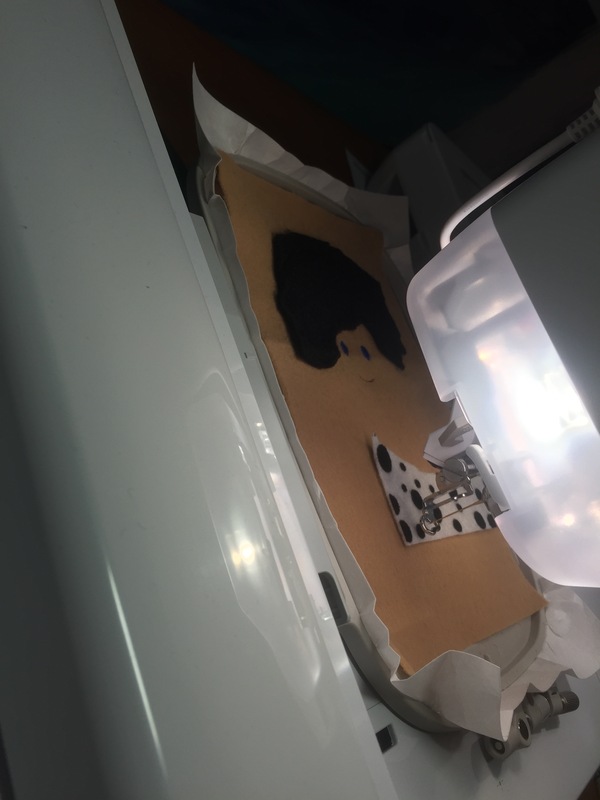 I had no idea felt people were a thing- but oh the cuteness – it’s no wonder! That’s how I felt! I’m not sure how i missed out on this my whole life. There will be more felt people coming in the future because… AWESOME. How we felt about felt… *giggles* need more caffeine, brain is giving up on me this afternoon! Yes, yes you should!!!! There are all sorts of nerdy things on the site we found Sherlock on… including My Little Pony and Doctor Who finger puppets. What??? Seriously? WHERE WERE THESE MY WHOLE LIFE! I feel like my life was just so sad not having had these things.